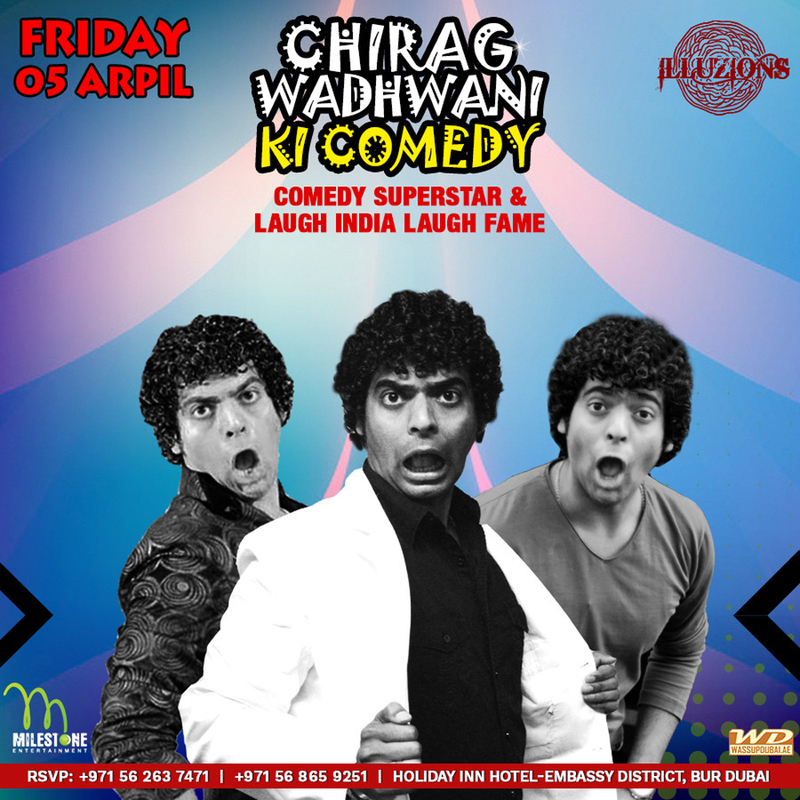 "Comedy Superstar" & "Laugh India Laugh" Fame CHIRAG WADHWANI coming down to Dubai to perform on Friday 5th April 2019 at " iLLuzions Lounge " (Holiday Inn Hotel - Embassy District, Bur Dubai). Doors Open 6 pm & Show starts 10:30 pm. For info and reservations call 056 263 7471 / 056 865 9251.